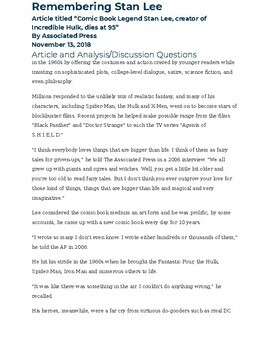 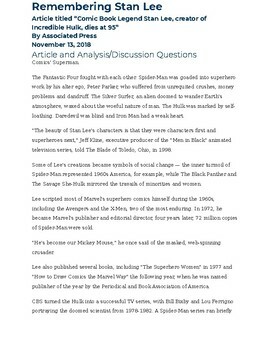 This is an informational text published by the Associated Press about the life and career of comic book legend Stan Lee. 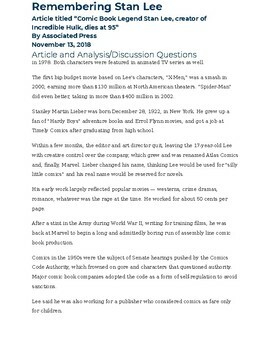 Included is the original text of the article and accompanying questions that prepare students to read an informational text critically. 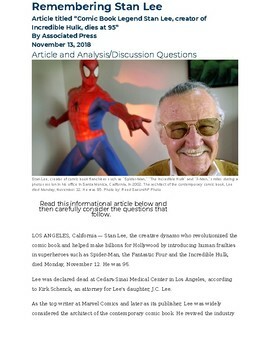 In purchasing this product you are paying for the unique questions I wrote to accompany the article as well as the answer key/teaching guide.